In our last post we mentioned the latest trend with regard to the output of our digital memories as consumers today appear to be all about the convenience of printing apps. 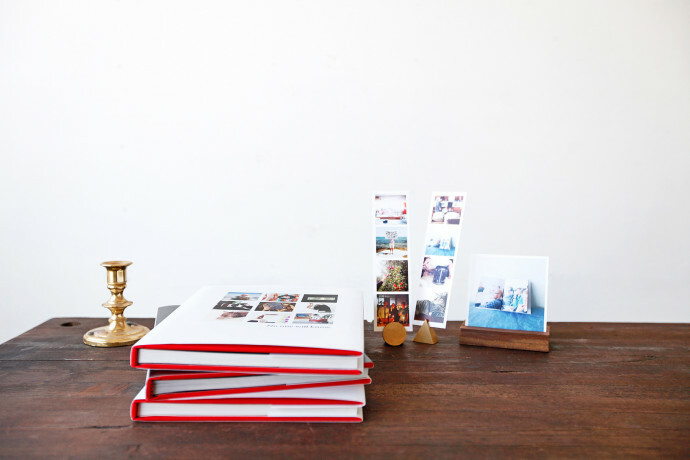 While the venerable 4×6-inch photo print has apparently lost its luster, people are still more than a little interested in turning their digital photo files into something more – they do indeed want to liberate their photos from their smartphones, turning treasured memories into memorable treasures, so to speak. We also briefly mentioned the recent InfoTrends survey that revealed 21% of photo merchandise buyers indicated that they had ordered a photo product using their mobile device and another 39% said they had not but were interested in doing so. In fact that same InfoTrends survey found that more and more photo products are now being ordered through mobile print apps instead of through a web browser or a kiosk in a retail store. 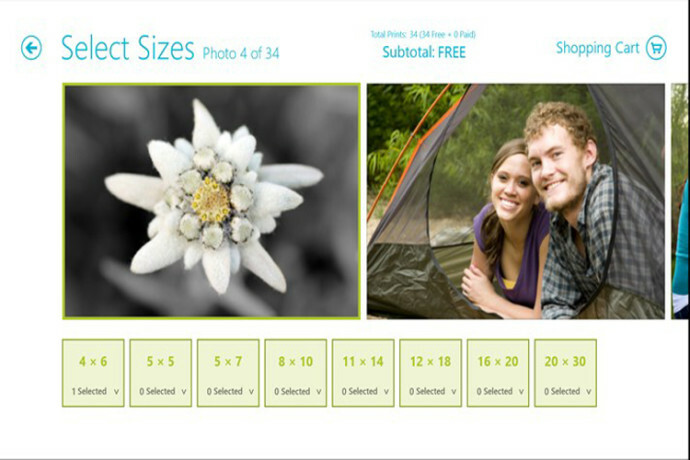 You apparently can’t beat the convenience of being just a few taps away from ordering prints. We tossed the Mosaic photobook app your way in the last post and today we’ll look at a few more photo print/merchandise apps worth keeping close at hand. 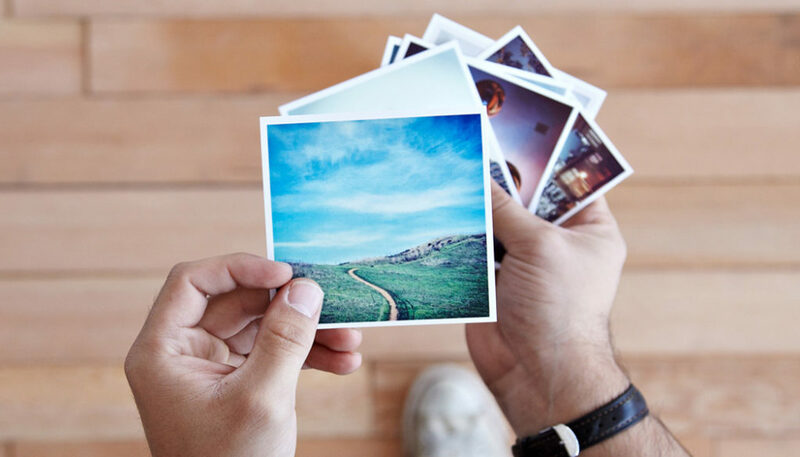 The obvious draw for Free Prints is clearly the word “Free” – as the app offers you 85 free prints per month, but only one print per photo – additional prints of a single photo are 9 cents each. The shipping costs are standard at $2.99, and your prints arrive in 5 to 13 days after you place the order, or for another dollar they’ll get it to you in 4 to 6 days. We liked the apps’ design as it’s super easy to use—you can print from your device’s photo library, or link up your accounts to print photos from Facebook, Instagram, Dropbox, etc. Not only does Free Prints let you order high-quality 5x7s and 8x10s, the 5×5 prints they also offer are perfect for your Instagram photos. The quality is ok, not spectacular, but you can’t knock the price. The free app is available for iOS and Android, plus Windows Phone and Windows 8. This next one is all about the fact your smartphone photos aren’t always the best shots you take, thus Krome Photos is all about turning those often times shaky shots into print-worthy memories. Whether it’s fixing the color, the lighting, the composition or editing out an unwanted object or two from the frame, the Krome Photos app does the dirty work. 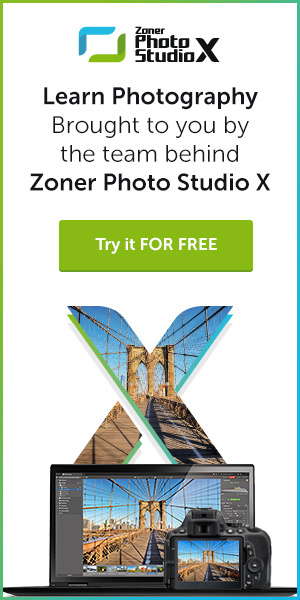 You get a $10 credit for downloading the iOS-only app and signing up, and then you can order either express or pro retouching of your so-so photos. 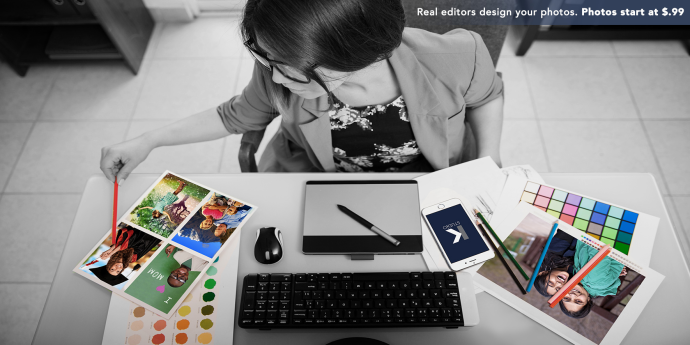 Express retouching is just 50 cents for the digital image only, or 50 cents each for a retouched 4-by-6-inch print. The more time-intensive jobs are assigned to a pro editor who retouches your photo by hand and based on your request—they can fix hair, remove objects and people, smooth skin tones, you name it, they can do it. Those pro retouches are $5 for the digital image alone, or $5 per retouched 4-by-6-inch print. The editing work takes approximately 24 to 48 hours (we’re hearing it’s actually a bit longer) and that $10 credit is a great way to check this one out at no risk. Clearly you’d only use a service like this for a pic you love that has an issue in it you hate. We really love PostalPix as this is perhaps the most convenient (and free) photo output app we’ve played with. 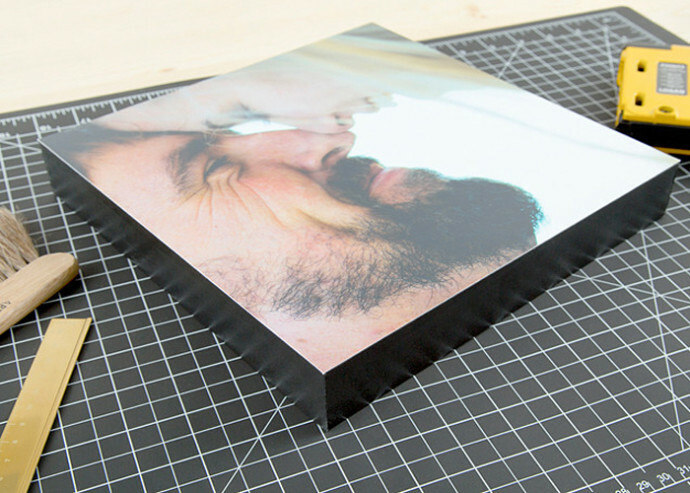 Prints are produced a variety of ways – glossy photo paper, aluminum (and boy do the colors pop), and a variety of photo merchandise products. An extremely easy to use interface (iOS or Android) and the push here is to share the prints with family and friends as the app makes it super easy to import addresses form your smartphone’s contacts. Nifty app. If you’re yearning for something a bit higher end, we hear ya. So then, you may be asking, where do the pros go to get their files printed? How about MPix, an app that offers 29 different sizes and three different professional-grade photo papers for super high-quality output. 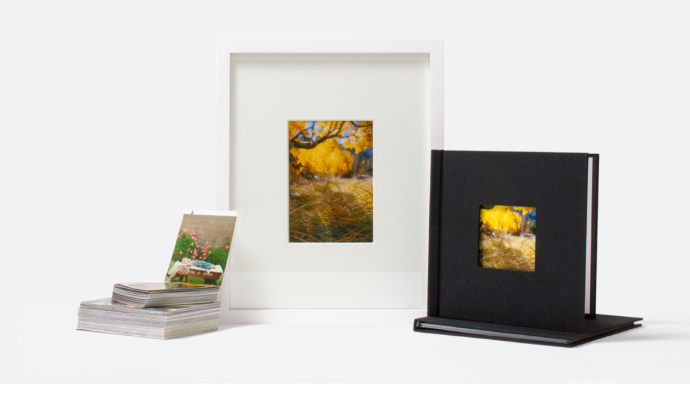 The list of offerings here is endless and includes magazine covers, ornaments, gallery wraps, foam mounted prints and a variety of print sizes. MPix is available for free on the App Store and Google Play. And finally, Social Print Studio urges you to “Print Your Heart Out!” A super easy interface allows you to print your pics on everything from magnets to minibooks and panoramics to posters. The Instagram framed prints are a favorite of ours and at $35 are reasonably priced. This free app is iOS and Android.